Can Balance Exercises Help Prevent Dangerous Falls? Home Health	Can Balance Exercises Help Prevent Dangerous Falls? As you get older, your sense of balance begins to deteriorate. Problems with eyesight and the inner ears combine to make staying on your feet increasingly difficult. 9,500 seniors die each year from falling, and half of all people 80 and over take a fall annually, if not oftener. What can you do about it? There are a number of precautions you can take, from making use of a cane or walker to making sure your home is free of hazards and obstacles that could exacerbate the problem. In addition to these preventative measures, though, you can also take a more proactive approach. 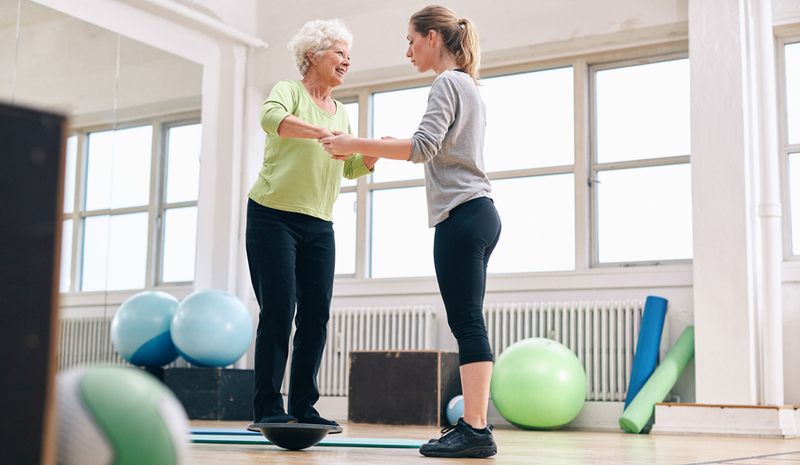 With the help of certain exercises, performed regularly, you can improve your balance and reduce your likelihood of falling. Here are a few things you can try. Stand on One Foot. This exercise is best done while braced against something sturdy, like a chair. Balancing on one foot without support can be difficult for people of any age. Hold the chair firmly, and lift one foot off the ground. Hold it for 10 seconds, then put it down. Repeat the action 10 more times, then switch to the other leg. Leg Lifts. These are also done while steadying yourself against a chair or other sturdy object. Lift one leg back, while keeping your knees straight and trying not to point your toes. Stand up straight and don’t lean. Hold for a second or two, then bring it back. Repeat 10 times, then move on to the other leg. Once you’re done with that, remain in the same position, back straight, and lift one leg up to the side, with toes facing forward. Hold for a moment and bring it down. Again, repeat 10 times before moving on to the other leg. Reaches. Stand on the left side of the chair, with your left hand on it for balance. Lift your right leg slightly. Stretch your right arm out straight in front of you. Then move it to the side, and finally reach behind you, all without twisting the rest of your body around. Bring your arm back out to the side, and then in front again. Repeat 5 more times. Body Circles. For this one (and the next), you’ll be moving away from the chair you’ve been using for balance. Stand straight with your arms at your sides. Lean forward, and sway your upper body around in a circle, while keeping your feet still planted firmly on the ground. Continue this for one minute. Walk Heel to Toe. Hold your arms straight out on either side of you, to help you maintain your balance. Put one foot directly in front of the other, so that the heel of the front foot nearly touches the toe of the back one. Continue walking this way, one foot in front of the other, for at least 20 steps. As you go, focus on a spot directly ahead of you. As you build up your strength and balance with these exercises, increase the number of repetitions you do. When one activity starts to get too easy, move on to something harder. There are many other simple balance exercises you can do in your own home, or wherever you happen to be, which can keep you healthy and help prevent a nasty fall, and the ensuing injuries. Talk to your doctor and see what activities they recommend. With a little effort and a few simple exercises, you can keep yourself healthy and strong for years to come. 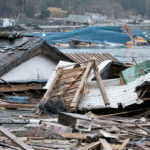 An Earthquake Hits – What Should You Do?